Regardless of records or playoff implications, Faulkner County is rife with tension for two communities every year in Week 10 of the high school football schedule. The Greenbrier Panthers and the Vilonia Eagles face off for the First Service Cup in their annual county rivalry Friday, Nov. 2. For Vilonia’s Tanner Loter and Greenbrier’s Seth Howard, this single game carries more weight than any other on the schedule. Greenbrier comes into the matchup favored and leading the series rivalry. But, history is rarely a helpful guide for a rivalry game. Loter and Howard were both selected to this year’s 501 Football Team — 28 players representing all 11 counties of the 501. 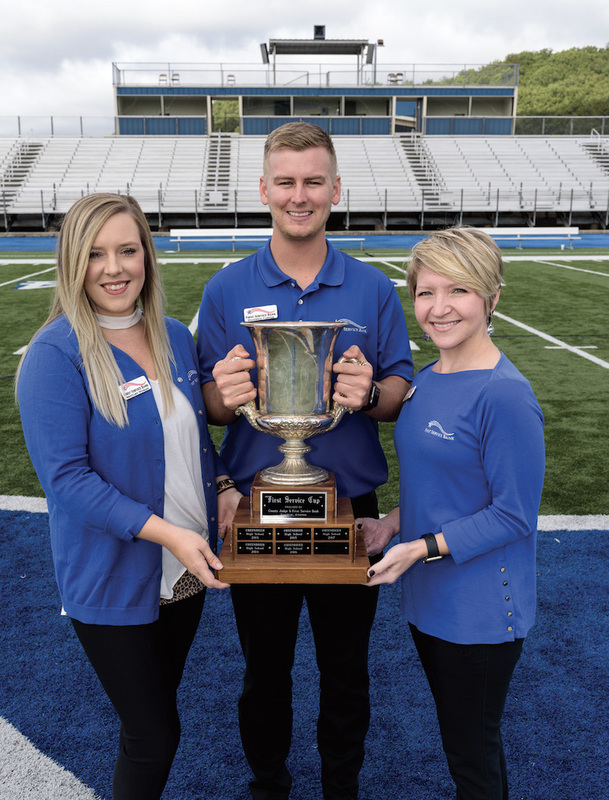 The team, sponsored by Conway Ortho and Sports Medicine Center, Conway Regional Health System and First Security Bank, boasts the best the 501 has to offer both on and off the field. The two seniors were nominated by their respective head coaches. For Loter, this storied rivalry has been built up his entire life. 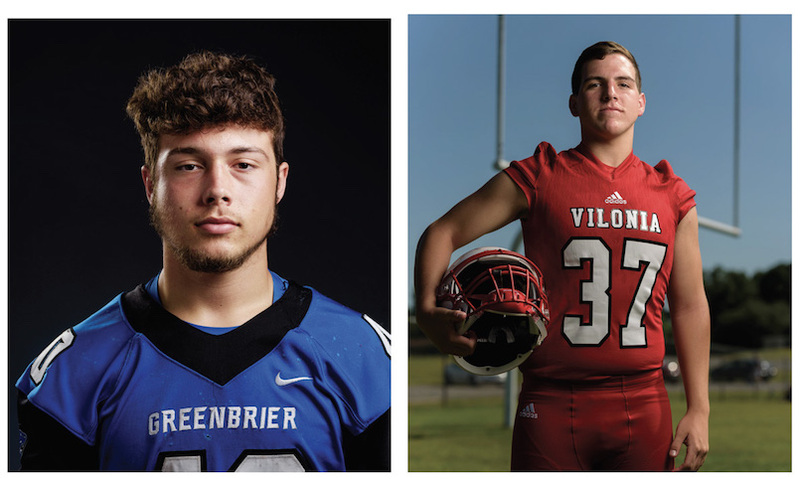 Greenbrier’s Seth Howard and Vilonia’s Tanner Loter were selected to this year’s 501 Football Team, sponsored by Conway Ortho and Sports Medicine Center, Conway Regional Health System and First Security Bank. Greenbrier Coach Randy Tribble knows that Howard is the just the type of player he needs leading his team in a high stakes rivalry game. Howard is focused on soaking in his final First Service Cup battle against Vilonia. Since 2001, Greenbrier leads the series, 9-8, and has won the last six matchups. In the 5A West, Harrison has locked up the No. 1 seed. Three teams — Morrilton, Greenbrier and Alma — sit at 4-2 in conference play. Vilonia, with its win over Clarksville last week, moved to 3-3 in 5A West play. With Morrilton and Alma both favored to win this week, a Vilonia win would pull the Eagles even with Greenbrier in conference play and give them the tiebreaker and the fourth and final playoff berth. A Greenbrier win would not only knock Vilonia out of playoff contention — ending the Eagles’ season — it could also propel the Panthers as high as the second seed in the 5A West with some help. Greenbrier plays host to Vilonia for the First Service Cup at 7 p.m. Friday, Nov. 2.